Artificial intelligence (AI) is increasingly becoming part of our lives, often without us even realizing it. I use it in my digital marketing agency and investing, and my phone uses it to enhance my user experience. Many of the online social media interactions and phone conversations we have are with computers. The difference is often unrecognizable. I believe this begs the question, why not use AI to help you invest? I’ve been investing since I graduated from medical school. In my financial book for doctors, I explain that I sold all of my stocks years ago and quit the market. I’ve stayed out of publicly traded stocks for well over 10 years. Only recently have I found a couple of exceptions that work, including using AI programs that automate stock picking and the buying and selling of shares (aka algorithmic or automatic trading). I’ve observed that a number of high-income earners — including business owners, C-suite executives, entrepreneurs with successful exits and independent professionals such as doctors — have been expanding their portfolios into a wider range of asset classes over the past decade. I’ve consulted many of them on real estate, debt investments, biotech startups and reputation management. Stock trading is evolving. For example, we now have systems for tax loss harvesting that can help turn stock market losses into tax deductions. 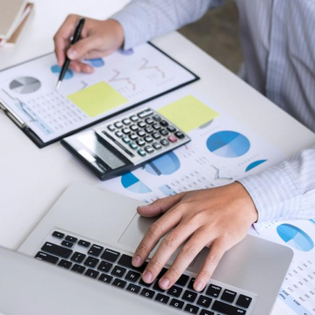 For many, I’ve observed that investing through self-directed IRAs, Roth IRAs and Solo 401(k)s can provide more flexibility and a variety of tax benefits. The use of AI in trading has seen growth in recent years. Wired reported that at least 1,300 hedge funds are using some form of computer modeling for the majority of their trades. Incredibly powerful computers are able to crunch almost countless data points in minutes. This means they are also able to detect historical and replicating patterns for smart trading that are often hidden to human investors. Humans simply aren’t capable of processing that much data or seeing these patterns at the same rate of technology (if at all). Consider that AI can evaluate thousands of stocks in moments. According to CNN, when it comes to high-frequency trading, some hedge funds use AI to decipher as many as 300 million data points on the New York Stock Exchange in the first hour of daily trading alone. By analyzing news headlines, social media comments, blogs and more, AI can predict the direction of stocks and the moves of other traders via sentiment analysis — the process of categorizing opinions (or sentiment) people have shared in text. While not revolutionary, this technology adds even more speed to trading. Today every millisecond counts. AI means automated trading without even needing to call your broker or get on an app. But, machine learning helps ensure this technology gets better and better. AI is already learning to continuously improve on its own mistakes. It deploys automated trading assistants and constantly works to improve its performance, not only by fine-tuning programming but also by inputting masses of new data. At a minimum, AI can benefit the human roles related to automated trading. Morgan Stanley, for example, rolled out its own AI tools to enhance the work of its financial advisors. But there are still caveats with using this technology to trade automatically. AI still relies on quality data being input, as well as the interpretation of that data. And despite AI’s expected growth in the stock market, I’ve found that the sizes of your gains and losses can depend on the amount you’ve invested and the strategy you’ve employed; your net returns can be impacted by the volume and frequency of trades because you might be required to pay fees for using AI to do your trading. Essentially, if you are trading all day, you might be incurring costs on each trade that will eat into your gains or deepen your losses. For example; if you were trading cryptocurrency with $100, and you made a 10% gain — but your buy-and-sell trading costs were $5 on each side — you wouldn’t truly have any net gain. While I believe it is still wise to have a well-rounded portfolio that allows for allocation in private investments, debt and real estate, if you’re going to invest in stocks, you might consider leveraging AI. It could be especially helpful for busy professionals who want to invest intelligently but haven’t mastered day trading.